Winter has hit full force here in South Jersey, bringing cold and flu season on top of harsh weather. My kids have been sick almost non-stop since they went back to school. Nothing major, but coughs and stuffy noses have been a constant affliction. Being a New Age Mama, I always try homeopathic remedies before going the traditional route. Most of the time, it works well for us. Essential Oils are one of my favorite home remedies, and there are some really unique varieties available at Kokokahn to help you get through the winter blahs. I got to try out the Breathe Inhaler Kit, and it has definitely made a difference for everyone in my family. I normally use straight Eucalyptus for colds. This blend includes a mixture of Eucalyptus with Lavender, Rosemary, Peppermint, and Spruce, and it was even more effective. The result is a divine, relaxing scent that will have you breathing easier and truly enjoying the aroma. For my kids, I just add a few drops to their humidifier or use an oil diffuser. Within seconds, the whole room is filled with scent. When they have a cold, they are able to get a better night's sleep and they feel a lot less stuffy. 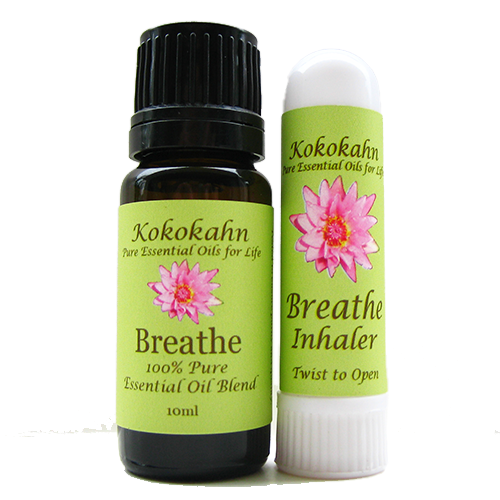 The Breathe Inhaler Kit is only one of amazing, all-natural products available at Kokokahn, including every variety of essential oil you can imagine. Here are a few more items on my wish list. If you'd like to learn more about Kokokahn and all the oils they offer, be sure to visit their website. Shipping is free on all orders over $100, so it's a great time to stock up! To keep up with new products and promotions, follow them on their social media. One winner is going to receive a Breathe Inhaler Kit and essential oil to try for themselves. This giveaway will end on 2/7/14 at 12:00am EST. Open to the US only. The winner will be notified via email and will have 48 hours to reply. Thanks again to Kokokahn for offering this fantastic prize. I like the bali spa gift set. I would love the lemon or tangerine or the fragonia scents. I would like to try the lavender face spray. I'd love to try the Balu Lulur Sugar Scrub! The Bali SPa kit looks phenomenal . I used to shy away from kits, as I assumed they were just hodgepodge collections of what was not selling, until I talked with a vendor, and she explained in her opinion she selected items that she wanted to expose to more people, makes sense. I would love to have a Himalayan Salt Lamp. 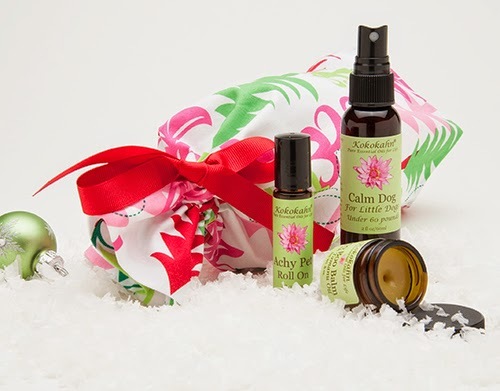 I also like this from their site; Kokokahn's Aromatherapy Chakra Oil Set with pure essential oils blended in organic jojoba oil for topical use. I would like the wellness gift set. I would also like to try their Womans Balance Essential Oil Blend. I am just learning about all the benefits of essential oils! Is also like to try the Release Anxiety Blend. I really like frankincense, but I've never tried it with ylang ylang. I would like to try the headache roll on. I'm certain the Headache Roll-On was created with me in mind! I love lavender and would love to try the lavender face spray. I would love to try the Kokokahn Face scrub with Almonds and Argan oil! I'd love to try the Cool Relief essential oil blend for my muscle pain! I would love to try the Natural Face Cleanser with Lavender. I would love to try dream time. I have a hard time falling asleep at night. I'd love the Pure Essential Oil Kit. I'd love to try the Bali Boreh Body Mask. Would like to try the women balance blend. I'd love to try the essential oil set! I've heard such great things! I'd like to try the Cedarwood Essential Oil. All of their products look amazing! 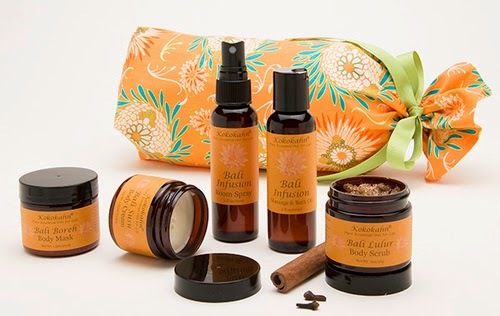 I'd gift myself the Bali Spa Gift Set... Momma could use some pampering. I love the White Porcelain Essential Oil Diffuser with Flowers. It's so pretty! Spa gift set looks very nice. I would love to try the Release Anxiety Pure Essential Oil Blend. I would like to try the boo boo balm. The product I would like to try is the Breathe Pure Essential Oil Blend. I'd love to try the Pet Aromatherapy Set for my dog. I want to try the tangerine oil. I like the Achy Pet Roll On. I have an older dog with arthritis and I'm always looking for all natural ways to help relieve her pain. I would like to try the Bali Spa Gift Set. i like the spa gift set! I'd love the Grapefruit oil for those days I'm feeling a little blue! I would love to try the Lavender and Cedarwood Oil! Pure Bliss Essential Oil Blend would be very nice to have. I'd love to try the Coconut Gift Set. I'd like to try the natural lip balms. I love the Himalayan salt lamps. I'd like to try the Face Scrub With Almonds and Argan Oil. I would also like to have the Himalayan Salt Lamp Bowl! The Bali Lulur Sugar Scrub intrigues me! I would love to try the Face Scrub with Almonds and Aragon Oil. I would like to have the Natural Face Cleanser with Lavender. I would also love to try the Coconut Orange Himalayan Salt Scrub. I'd like to try the Clay Face Mask - Pore Cleansing. 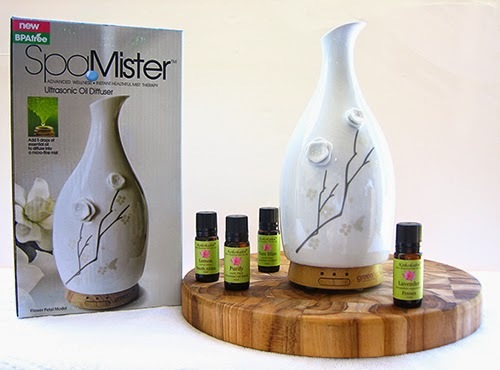 I would love to try the Spa Vapor Essential Oil Diffuser! have to go with the himalayan salt lamp. I would love to try the Clay Face Mask - Pore Cleansing. I would love to try, Whipped Shea Butter - Ginger Orange. My skin is so dry and this would be the perfect solution.